One can only bear the mob encircling the Mona Lisa so many times. In my four months living in Paris, I must have visited Mona and her Louvre museum on half a dozen occasions, mostly while touring visiting friends and family around the city’s landmark attractions. You can’t argue that the Louvre is not fabulous, but one long spin around the place is enough to hold you over for a while. Luckily, during my last stint in Paris I had time to make the rounds of Paris’ smaller, more captivating museums and am happy to share these lesser-known finds with you now. Dig sculpture? Need a spot for a sunny afternoon picnic? 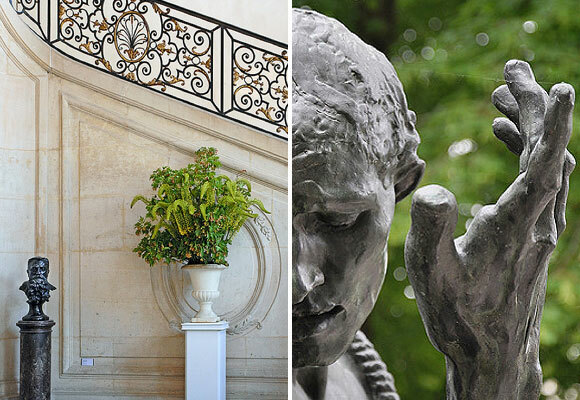 The Musée Rodin is dedicated to the works of Parisian and Western art’s greatest sculptor, Auguste Rodin. The museum, located just east of Hôtel des Invalides and within view of the Eiffel Tower, consists of an indoor display in what used to be the Hôtel Biron and a sculpture garden featuring a sculpture garden, luscious green lawn, pond and an area designated for lazying on lounge chairs and taking in the day—as Parisians so commonly do. See Rodin’s most famous pieces, such as The Thinker, Balzac, and The Kiss, and be sure to pack that picnic lunch. Musée Rodin, 79, rue de Varenne, 75007 Paris. Closed Mondays. 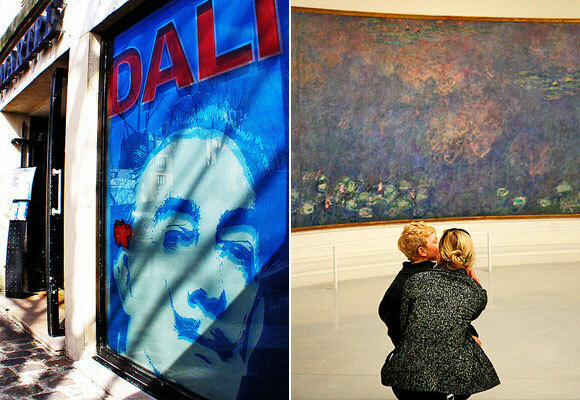 Been to the d’Orsay almost as many times as the Louvre? 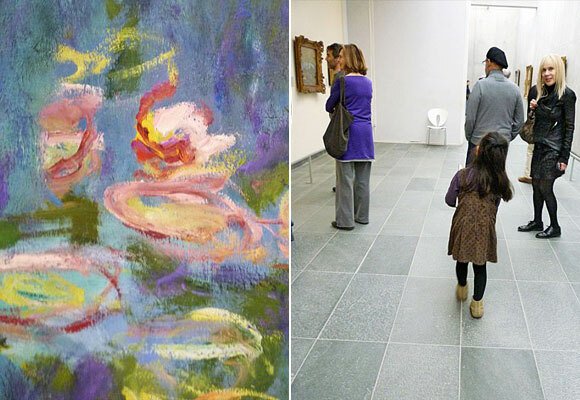 Want a Monet fix without traveling outside the city to the artists’ former local of Giverny? For the city’s most outstanding collection of Monet’s Waterlilies, head to the Musée de l’Orangerie, located in the 1st at the southwest corner the Tuilerie Gardens. This tiny, two-floor museum features two ovular rooms each boasting a stunning 360 degree display of the Monet’s most famous subject. Head downstairs to view the collections of Paul Guillaume and Jean Walter, which include works by Cézanne, Renoir, Gauguin, Modigliani and more. 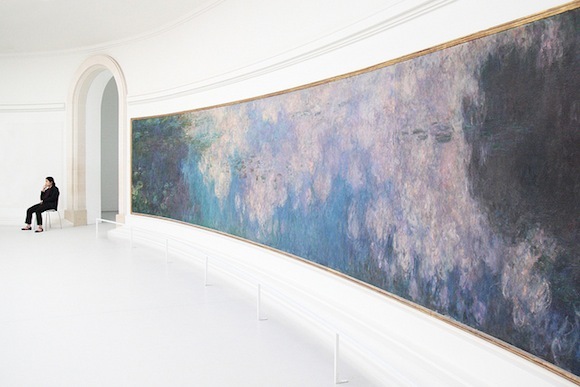 For more waterlilies and Monet masterpieces, head to the Musée Marmottan in the 16th, which contains the world’s most extensive collection by the artist. Located in what was once the Duke of Valmy’s hunting lodge, the museum’s collection includes Impression Soleil Levant (Impression: Sunrise), the piece to which the impressionist movement owes its name, series of Monet’s most iconic Giverny scenes and works by a few of Monet’s greatest contemporaries. Musée de l’Orangerie, Jardin des Tuileries, 75001 Paris. Closed Tuesdays. Dalí fans, rejoice! Get your dose of surrealism at the Espace Dalí in Montmartre just off the Place du Tertre next to Sacré-Coeur, a gallery plus store boasting France’s largest collection of works by crazy ol’ Sal. While the space is small and dark, the collection is fantastic, comprised mostly of illustrations, sculpture and furniture. Featured works include themed series, such as Alice in Wonderland, Romeo and Juliet, and The Bible. The space is even available for private guided tours and receptions. Espace Dalí, 11, rue Poulbot, 75018 Paris. Open 7 days/week. Sick of staring at paint-splashed canvases and figures carved out of stone? The Musée des Arts Decoratifs (Museum of Decorative Arts) located in the northwestern wing of the Palais du Louvre in the 1st is comprised of an extensive collection of fashion items, toys and antique and modern homewares. Be sure to check out the two rooms dedicated to the museum’s extensive jewelry collection and the exhibit on 1980s fashion by French fashion houses, including Chanel, Sonia Rykiel, and Chloe. Musée des Arts Decoratifs, 107, rue de Rivoli, 75001 Paris. Closed Mondays. Like museums but enjoy food and drink more? End your day of art gazing at the Musée du Vin (Museum of Wine), where for less than a trip to wine country you can participate in a genuine French wine tasting class. Make a lunch reservation at the museum’s restaurant (dinner not offered) and enjoy a traditional French meal with your wine. Then, take advantage of your meal’s free admission to the actual museum, which recounts the history of the monastery that now houses the establishment. Head to the museum’s website for more information on reservations and pricing. Musée du Vin, 5, Rue des Eaux, square Charles Dickens, 75016 Paris. Written by Marisa Morrison for the HiP Paris Blog. Looking for a fabulous vacation rental in Paris, Provence, or Tuscany? Check out Haven in Paris. Great post, which remains very actual in fact ! 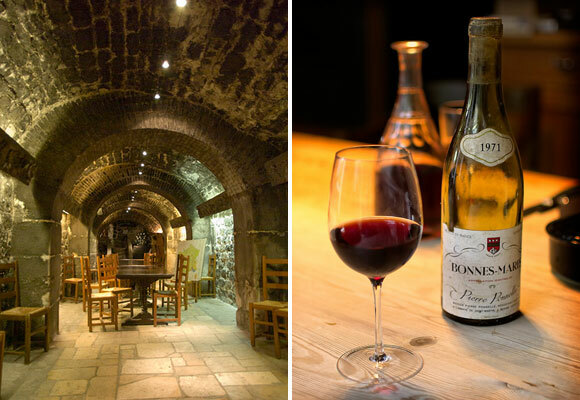 How smart to offer lunch with museum admission at the musée du vin! I did not know this, definitely moving up on my list..
l’Orangerie is my favorite!! I could sit in those round rooms forever. a most useful post and you’re right about everything – although the Musée d’Orsay will stay my lifelong best (museum) friend, your other features are delightful and ever so worth a visit. WOW… i can’t wait to go and check these places out… Went to a few museums last year and its nice to know of some other ones to head too! I’m a huge fan of the Museé Rodin and l’Orangerie too. There’s a great little sandpit area for the kids to play up the back of the Rodin Musem gardens too! And I can’t believe after living in Paris for 7 years I never visited Musée Marmottan. The wine museum is on the list for the next trip. One of my other faves is Jeu de Paume, it’s fabulous and has wonderful photography exhibitions!! Haven’t checked out the decorative arts or wine museum yet–next trip! Adore L’Orangerie and need to get back to the Rodin–haven’t been since a very rainy January day! The Marmottan is amazing, and I finally got to the L’Orangerie on my last visit, since all other times it was being renovated. Breathtaking! The Musée Rodin is one of my favorite spots in the world. It’s so quiet and peaceful, and there’s a little café tucked back in the garden, too — it’s a lovely place to sit with a coffee and croissant and relax. You completely forget you’re in the middle of the city.